Having survived my altercation with the ghost of a Jacobite in Glen Shiel, I ventured east, first to Inverness, then to Moray. I had a three-day Bank Holiday plan. 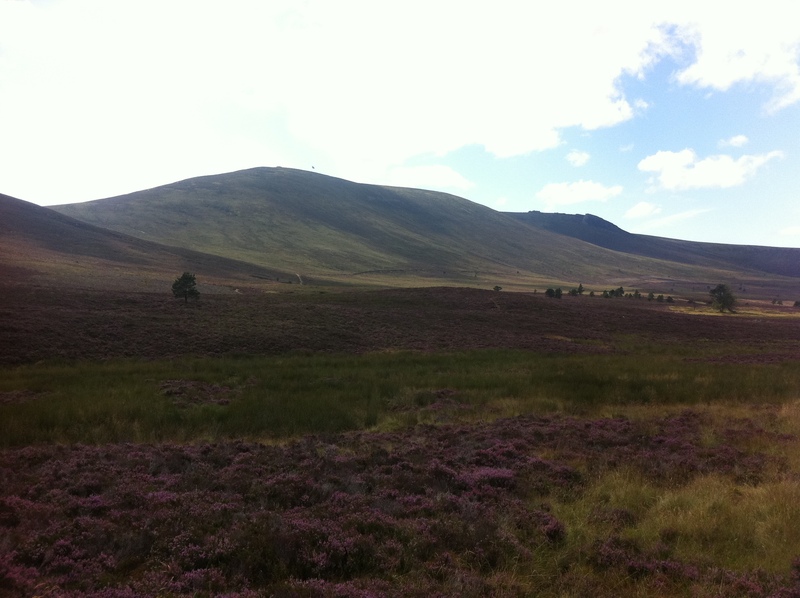 Day 1 – The Glen Challenge, a 10-mile trail race that forms part of the Glenurquhart Highland Gathering and Games in Drumnadrochit; Day 2 – Ben Rinnes; and Day 3 – the Munros either side of the Cairnwell Pass in the Grampians. Meatloaf sang that ‘two out of three ain’t bad’ and such is the case in the north of Scotland when one is utterly dependent on the vagaries of the weather. Day 1 dawned drizzly and cool – ideal running conditions – and 24 of us made the 10-mile dash from Corrimony to the Games field in Drumnadrochit. I was 4th until half-way, then squeezed into 3rd, only to be pegged back on a two-mile climb. 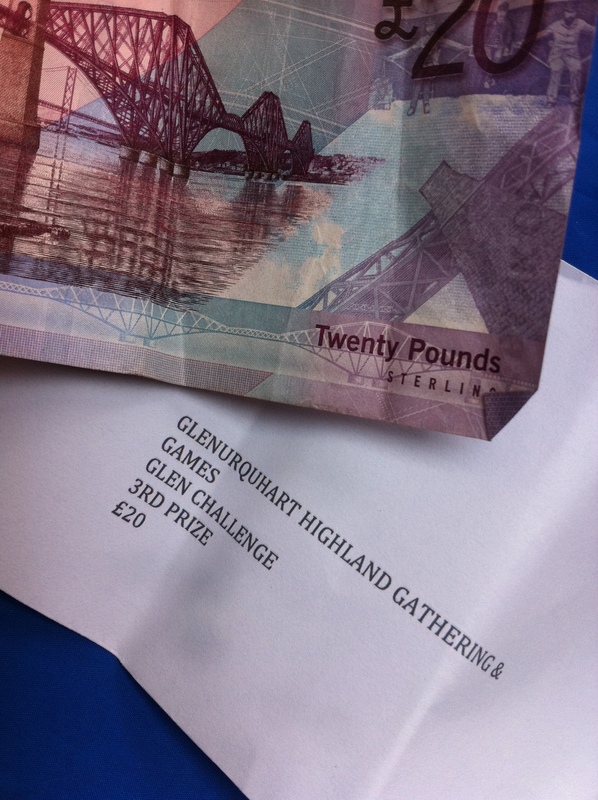 I clung on, though, arriving at the finish in bronze medal position to a ripple of applause and a £20 note in an envelope. 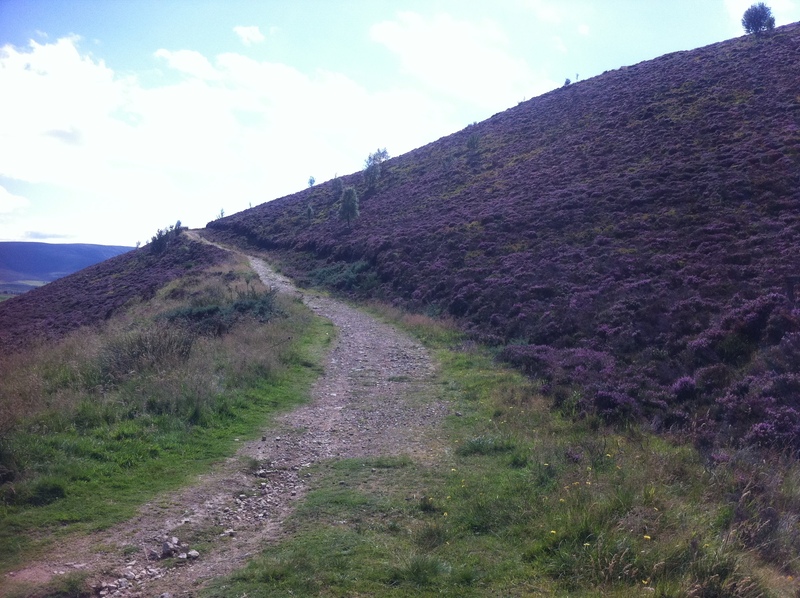 My legs were weary as I headed up Ben Rinnes the next day, but since the altitude gain is little more than 500 metres and the path dry, rocky and obvious even to the navigationally-inept, I vowed to run all the way. And I did – just about, in 31 minutes. Only when the steps arrived did I start to wobble. What a view from the summit, the marvellously-named Scurran of Lochterlandoch: Speyside, the Moray Firth, the Cairngorms, the hills of Caithness, loads of wind turbines. I descended via Scurran of Well, accurately described as a ‘pile of pancakes’ by my guidebook, then down and along a winding 4×4 track to the car park. While traipsing about on the Ben, a fine day had become a glorious one. I basked in the sunlight outside a Dufftown cafe enjoying a celebratory slab of cake. No such luck on Day 3. Winter came overnight. There was flooding in Aberdeen. High winds were cancelling ferries in the west. I knew there was no chance of doing a round of the nine Munros either side of The Cairnwell. As I breached The Lecht I scaled back aspirations to the three west of the pass. But ascending to the Glenshee ski station, my car was engulfed by mist and driving rain. Such was the shroud I missed the cafe and had to turn back. Carn Aosda, a 917-metre Munro, the smallest of the lot up here, I thought? A few seconds outside made me realise the foolhardiness of even this. Terrible visibility, driving rain, absolutely miserable. I got back in the car and turned my nose to Edinburgh, wondering whether I was in the same country that 24 hours earlier had held me in its warm, gentle glow.